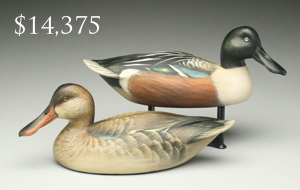 Guyette & Deeter, Inc. conducted their 31st annual spring decoy auction on April 21 & 22 at the Pheasant Run Resort in St. Charles, Illinois. 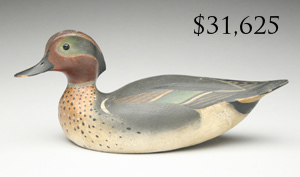 It was held in conjunction with the National Antique Decoy & Sporting Collectibles Show. 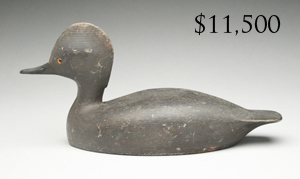 The auction grossed just under $2.8 million, with 58 lots selling for over $10,000 and 2 lots selling for over $100,000. 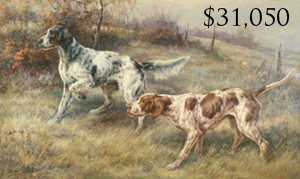 Prices soared for iconic sporting art from the Paul Tudor Jones II collection, with all paintings from the featured collection selling. 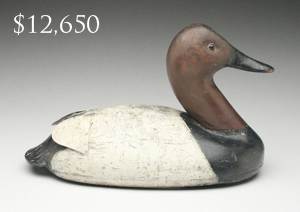 The top decoy in the sale was an exceptional oversize Monhegan Island style merganser by Gus Wilson that sold for $149,500. 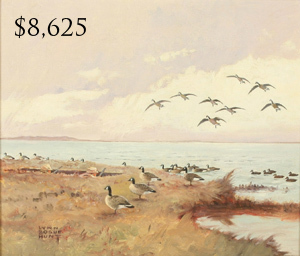 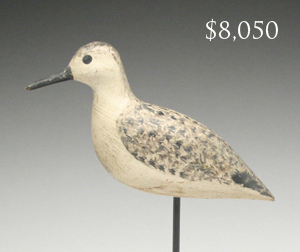 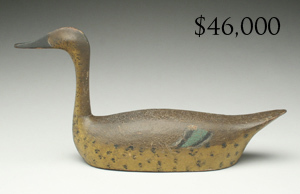 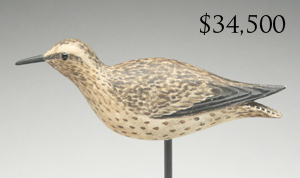 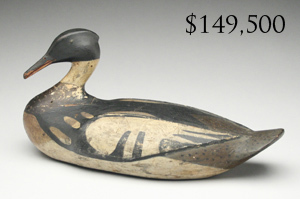 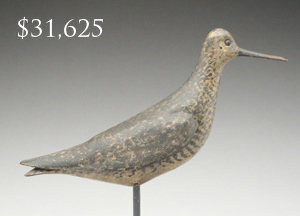 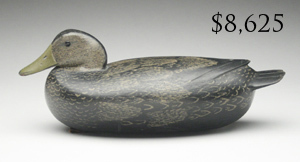 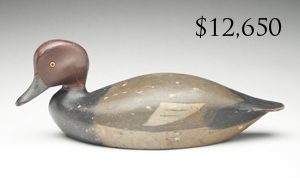 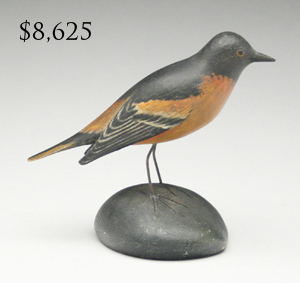 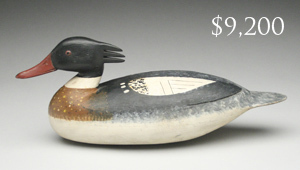 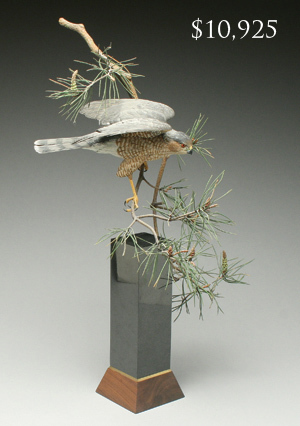 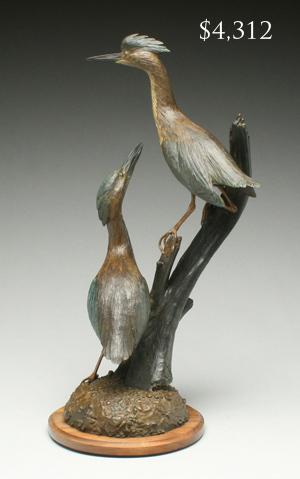 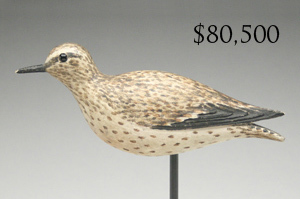 A running sandpiper by Elmer Crowell was another highlight, selling for $80,500. 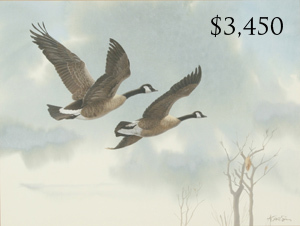 Gary and Jon attributed the solid prices to Guyette & Deeter’s guaranteed condition reports and a Buyer’s Premium that has remained at 15%. 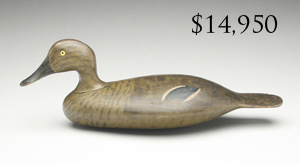 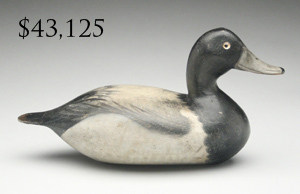 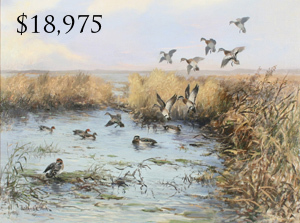 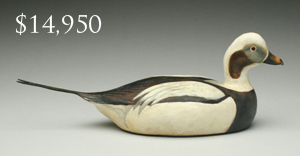 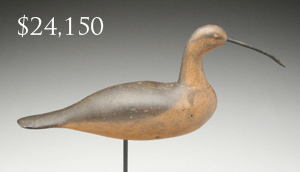 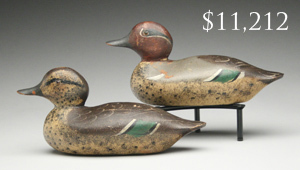 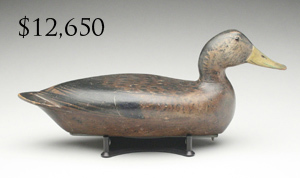 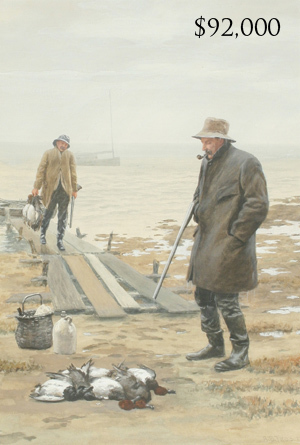 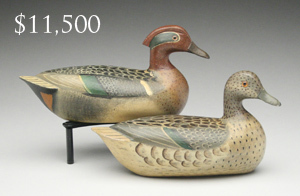 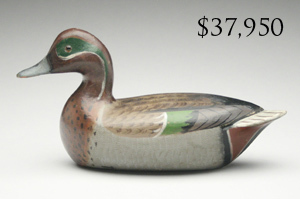 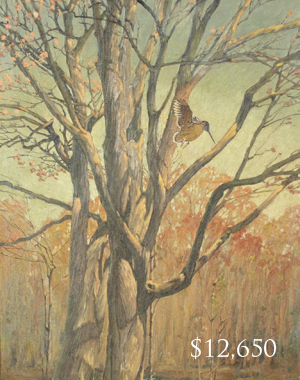 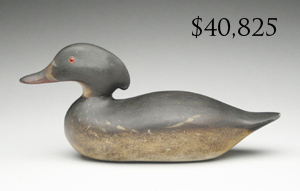 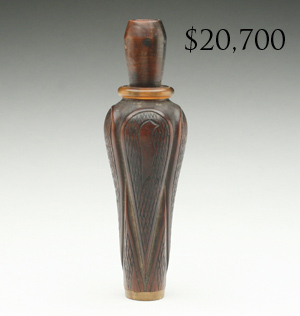 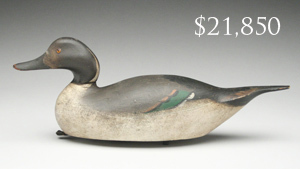 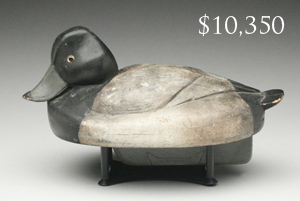 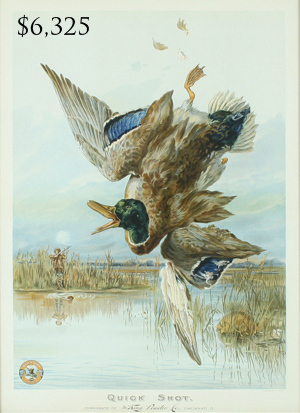 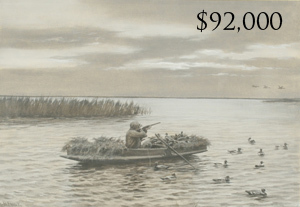 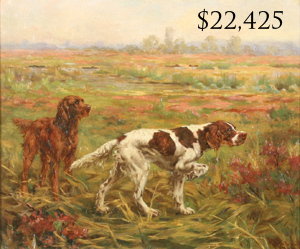 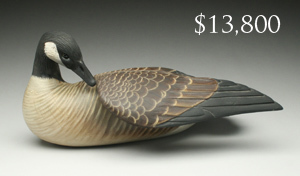 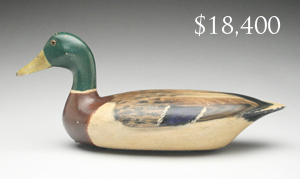 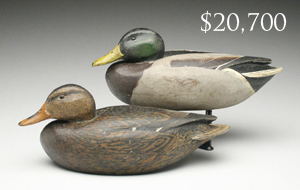 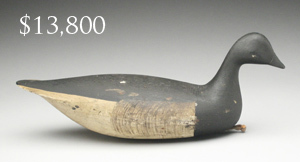 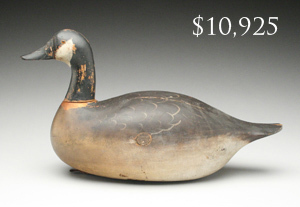 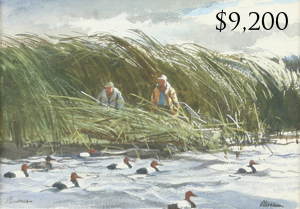 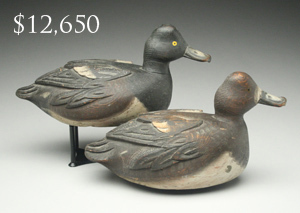 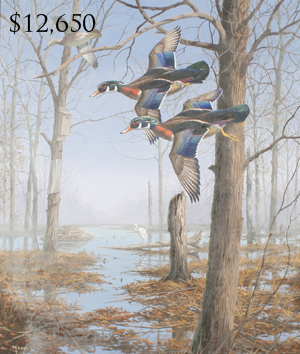 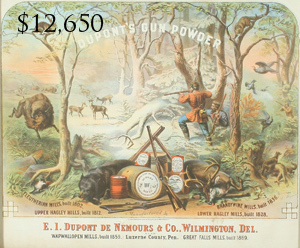 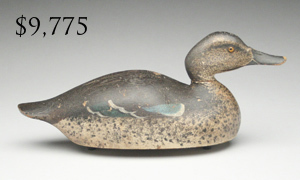 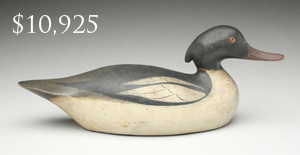 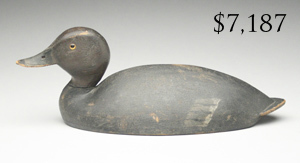 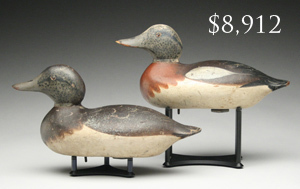 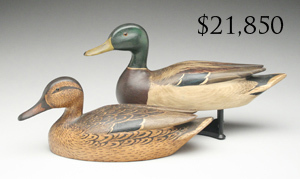 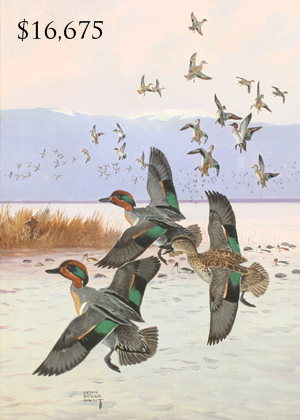 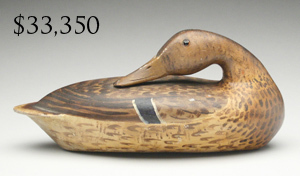 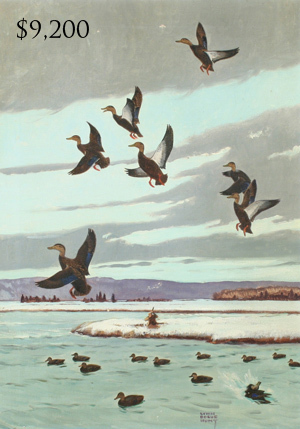 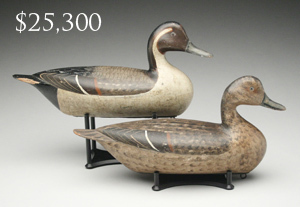 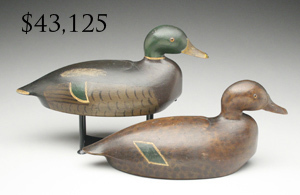 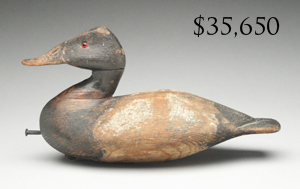 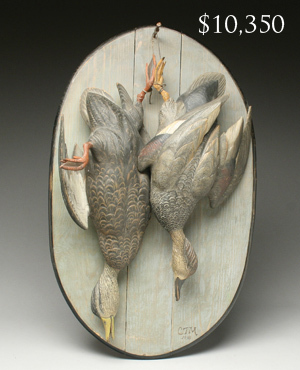 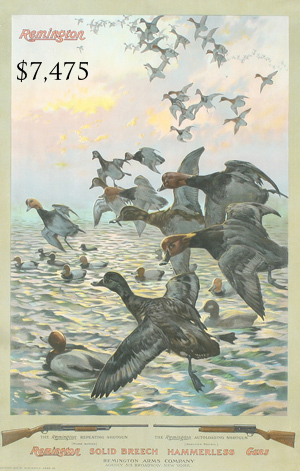 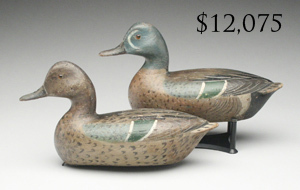 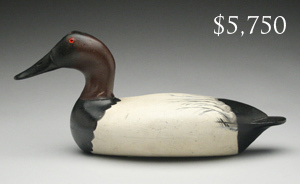 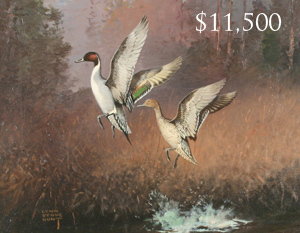 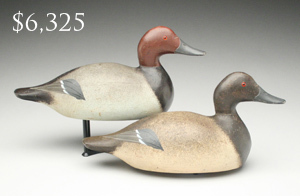 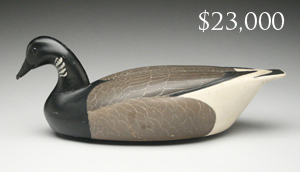 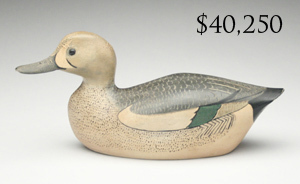 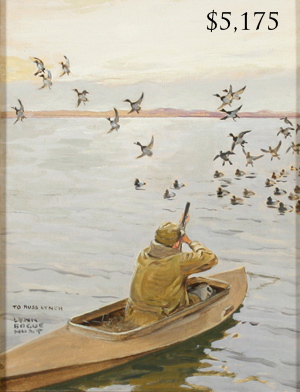 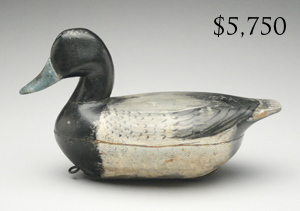 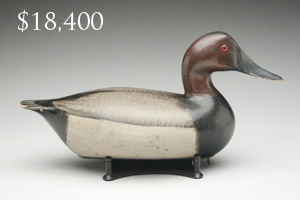 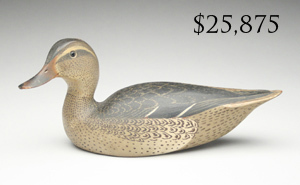 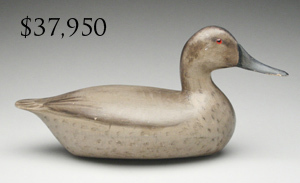 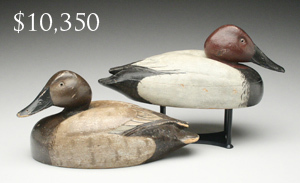 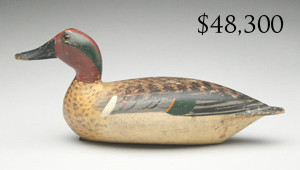 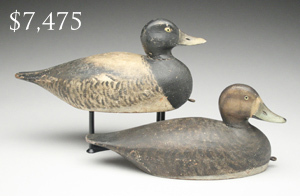 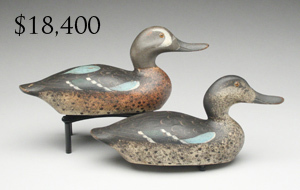 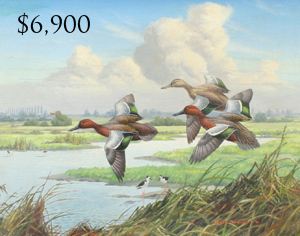 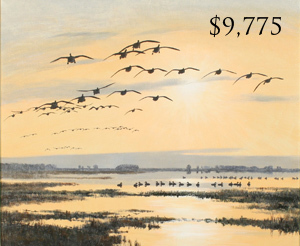 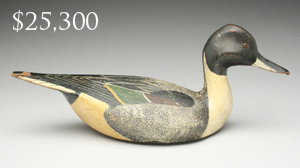 Many of the lots were fresh to the market, with most of the sporting art being sold for the first time in 25 years, and most of the top decoys for over 20 years. 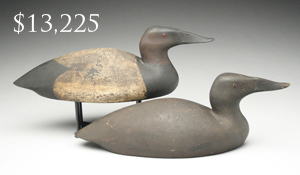 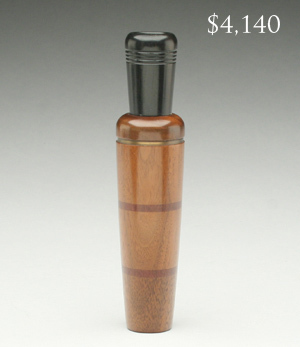 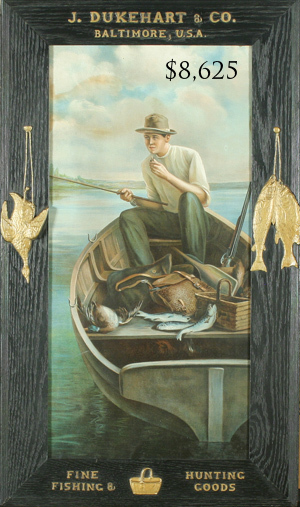 Guyette & Deeter’s next sale will be held July 26 & 27 at the Sheraton Harborside Hotel in Portsmouth, New Hampshire. 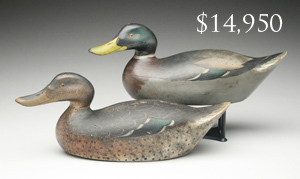 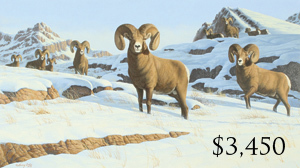 Quality consignments are being accepted until June 5 or until full.